Several protesters have been injured in the Ukrainian capital, Kiev, after riot police forcibly broke up the remnants of a week-long anti-government demonstration. The crowd of about 400 protesters, who had been demanding the resignation of President Viktor Yanukovych after he blocked a key European trade deal, were set upon at around 4:30am (0230 GMT) by baton-wielding officers as tear gas filled Kiev's famed Liberty Square. 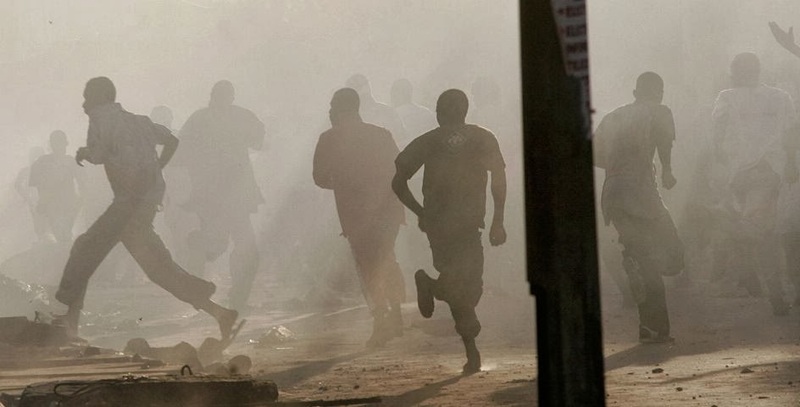 Journalists were prevented from filming scenes, and a Reuters camera operator was among those injured. 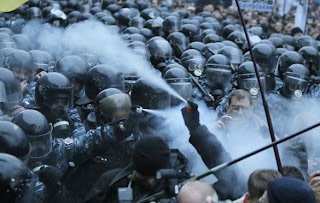 As many as 10,000 people had gathered in the square on Friday night, after Yanukovich refused to sign a long-anticipated association agreement with EU officials at a summit in Vilnius, Lithuania. The deal would have moved the former Soviet state closer, politically and economically, to the EU - at the expense of Russia. 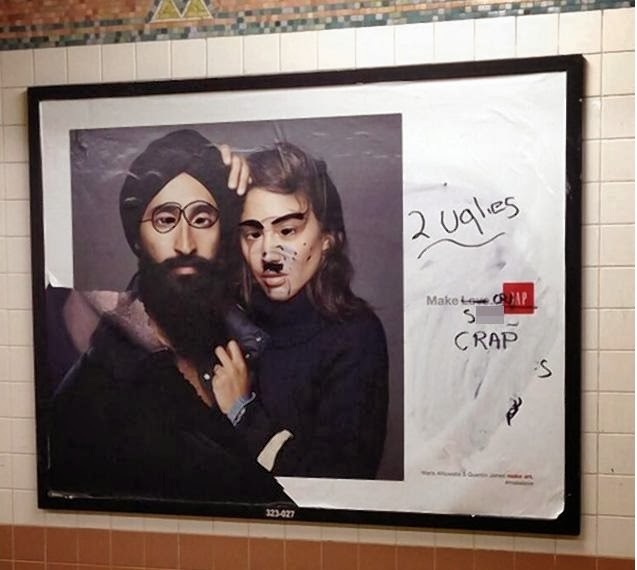 RACIST GRAFFITI AGAINST SIKH ACTOR IN U.S.A.? 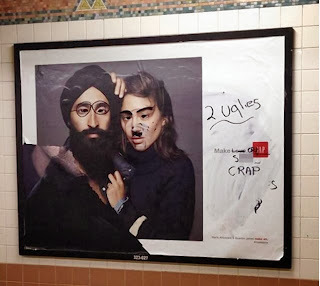 The American multinational clothing and accessories retailer had launched a ‘Make Love’ drive featuring several multicultural figures in Gap garments during the holiday season. 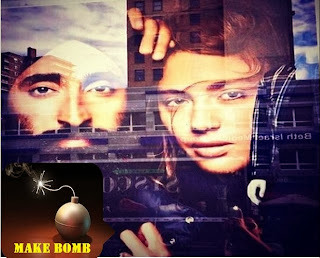 One of the posters featured the turbaned Ahluwahlia, next to Quentin Jones, a model and filmmaker with a caption that read “Make Love”. This was followed by the brand’s logo. As an actor, Ahluwalia is perhaps best remembered for his small roles in Wes Anderson films like The Darjeeling Express and his small but memorable turn in Spike Lee’s 2006 crime thriller Inside Man, starring Denzel Washington and Jodie Foster. 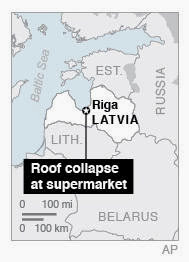 Last Thursday (November 21, 2013) , a supermarket roof in Riga, the capital city of Latvia had collapsed killing 54 people and wounded at least 40 others. As Latvian rescue workers searched for bodies in the rubble of a supermarket collapse that killed dozens, speculation about the cause focused on a garden and a playground being installed on the grass- and gravel-covered roof. 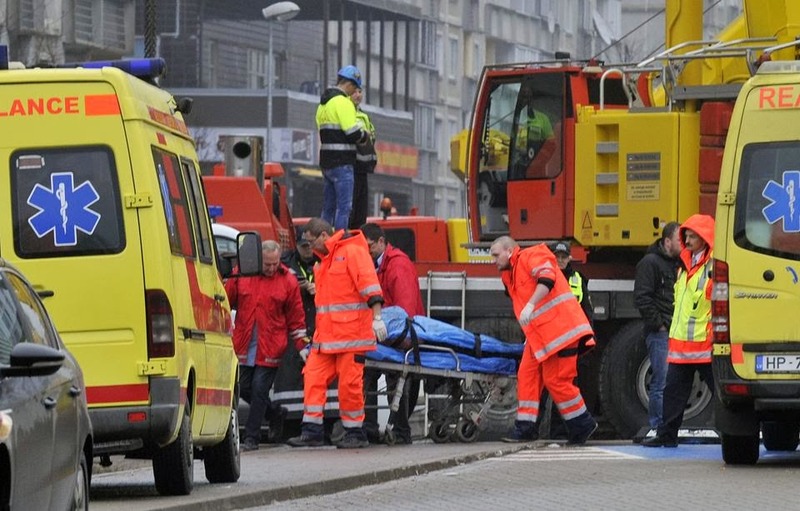 The death toll from the Thursday evening rush-hour roof collapse at the Maxima supermarket in Latvia's capital had risen to at least 51, including three firefighters, police said. Police opened a criminal investigation into the cause of the tragedy at the award-winning building — once vaunted as a place where high-rise residents could step out of their homes, stroll along a shady garden and pick up a couple of items for dinner. Riga Mayor Nils Usakovs told reporters that large bags of construction materials and soil were left on a weak spot on the roof and could have caused the collapse. It had rained for days, leading to speculation that the soil had become soaked and weighed down. Deputy Mayor Andris Ameriks said that several reinforced steel beams fell over at once, which might indicate that engineers failed to properly calculate load pressure on the roof. 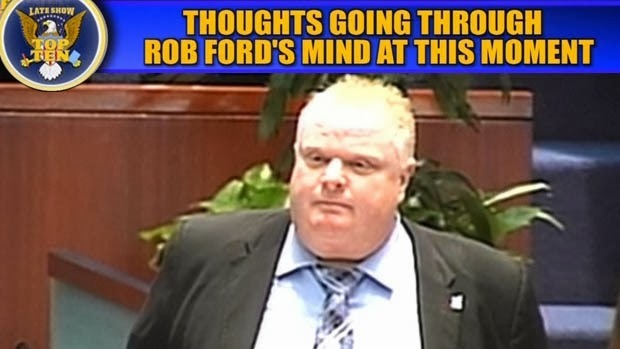 He blamed budget cuts for a lack of construction controls. An enormous crater-like hole gaped in the supermarket's roof, while building materials were still stacked on the remaining sections. The store was filled with shoppers when an enormous section of the roof caved in. Two hours later, while rescue workers searched for survivors, a second and larger section of roof caved in, trapping and killing firefighters. It was the largest tragedy for the Baltic state since it regained independence from the Soviet Union in 1991. 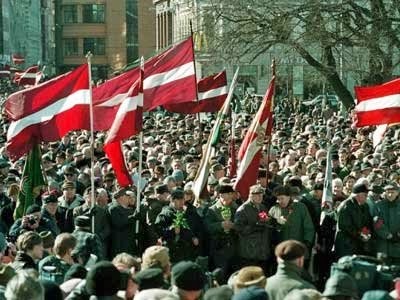 Latvia's government declared three days of mourning starting Saturday. As a result of the supermarket disaster, Latvia's prime minister has resigned after accepting political responsibility for the collapse of a supermarket roof in the capital that killed 54 people and wounded at least 40 others. 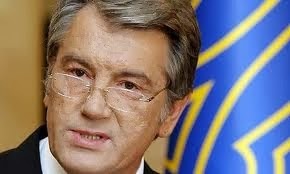 Valdis Dombrovski was the longest serving prime minister in Latvia's history. His decision also means his centre right government automatically falls. 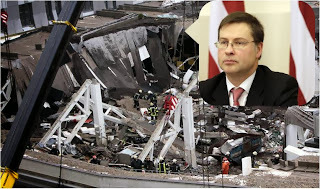 "Considering the ... tragedy and all the related circumstances, the country needs a government that has a majority support in parliament and can solve the situation that has arisen in the country," Dombrovskis told journalists after meeting President Andris Berzins. President Andris Berzins has accepted his resignation and will begin searching for a candidate who will need to put together a new coalition, the president's office said. SINGAPORE - Singapore has assured Malaysia that it will not do anything to harm relations as the city-state grapples with allegations that it was part of a US-led electronic spying operation in Asia. 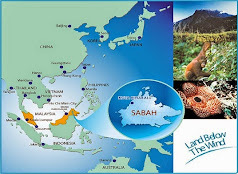 "We have no interest in doing anything that might harm our partners or the friendship between our two countries," Ong Keng Yong, Singapore's high commissioner (ambassador) to Malaysia, said in comments carried by the Straits Times newspaper on Wednesday. "We have an excellent bilateral relationship and cooperate closely on many matters of common interest," he said without addressing the spying issue directly. Singapore's envoys to Malaysia and Indonesia were summoned by their host governments Tuesday following an Australian media report that implicated Singapore and South Korea in a spying ring. Singapore's foreign and defence ministries have not replied to AFP queries about the report, based on leaks provided by fugitive former US intelligence contractor Edward Snowden. Southeast Asia's biggest telecom firm SingTel, which had been identified in Monday's report as a key party to the alleged tapping of undersea telecommunication cables, also declined comment. SingTel is majority-owned by state investment firm Temasek Holdings. 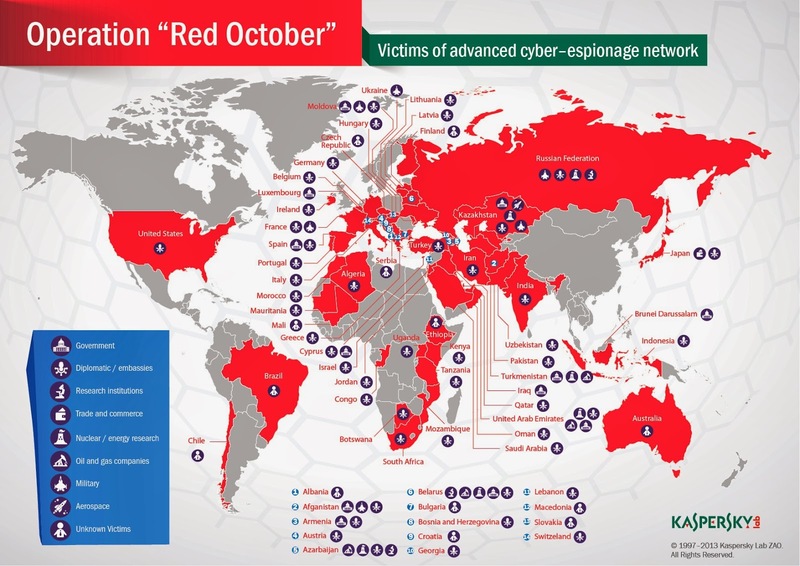 The Sydney Morning Herald said Singapore and South Korea played key supporting roles in a "Five Eyes" intelligence network grouping the United States, Britain, Australia, Canada and New Zealand. As a major hub for regional telecommunication traffic, high-tech Singapore was an important link in the surveillance network, it said. 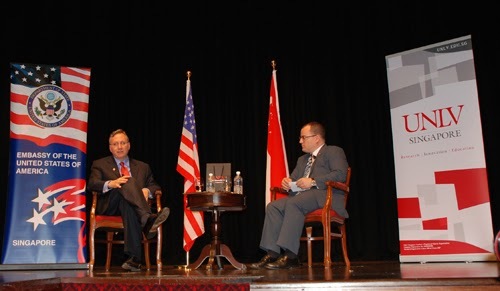 Indonesia's President Susilo Bambang Yudhoyuno on Tuesday reacted angrily to the reports of Singapore and South Korea's involvement, and said both countries' envoys would be summoned. His comments came amid signs of an easing in a diplomatic crisis between Jakarta and Australia, which had allegedly tried to listen to the phones of Yudhoyono, his wife and his ministers in 2009. Singapore is a long-standing military partner of the United States. The US military operates a post in the city-state that assists in logistics and exercises for its forces in Southeast Asia. The US Navy maintains a logistical command unit - Commander, Logistics Group Western Pacific - in Singapore to coordinate warship deployment and logistics in the region. Squadrons of US fighter planes are also rotated to Singapore for a month at a time, according to a report by the US Congressional Research Service. 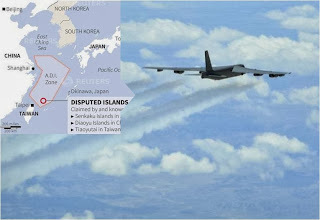 Two US B-52 bombers are reported to have flown over an area of the East China Sea inside China's expanded "air defence zone" without notifying China. The unarmed aircraft took off from Guam on Monday and the flight was previously scheduled as part of a routine exercise in the area, a Department of Defence spokesman said on Tuesday. "Last night we conducted a training exercise that was long-planned. It involved two aircraft flying from Guam and returning to Guam," said Colonel Steven Warren, a spokesman for the department. No flight plan was submitted beforehand to the Chinese and the mission went ahead "without incident", with the two aircraft spending "less than an hour" in the unilaterally-declared Air Defence Identification Zone (ADIZ), he said. 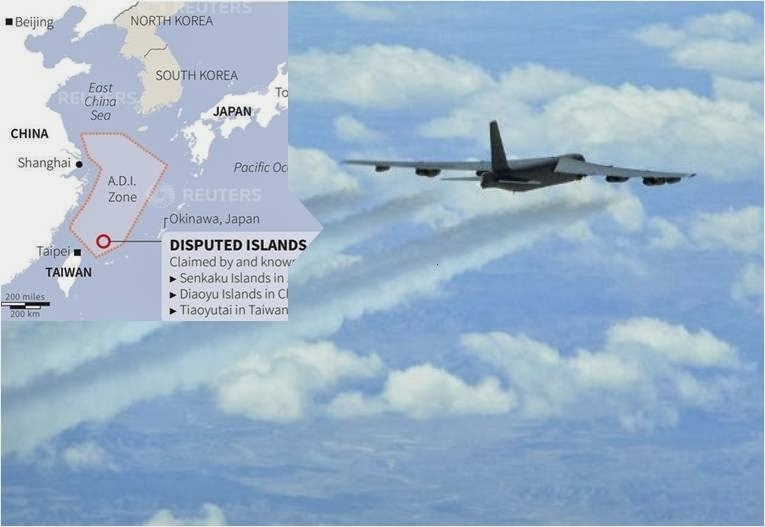 An anonymous official told the AFP news agency that the planes were B-52 bombers - the largest aircraft in the US military's arsenal. China last week announced the expanded air defence zone amid a growing territorial dispute with Japan over an island chain in the East China Sea. 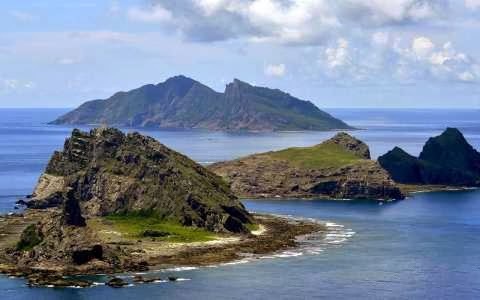 The area also includes waters claimed by Taiwan and South Korea, which also have both expressed their displeasure at Beijing's move. Under the rules declared by China, aircraft are expected to provide a flight plan, clearly mark their nationality and maintain two-way radio communication to allow them to respond to identification inquiries from Chinese authorities. 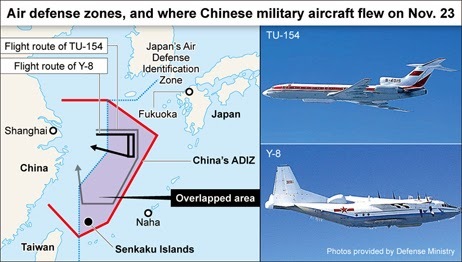 Japan, the United States and several other governments have criticised China's announced air defense zone. NEW YORK - The first book printed in what is today the United States of America sold for US$14 million (S$18 million) at auction in New York on Tuesday, becoming the world's most expensive printed book. The translation of Biblical psalms "The Bay Psalm Book" was printed by Puritan settlers in Cambridge, Massachusetts in 1640 and sold at a one-lot auction in just minutes by Sotheby's. Bidding opened at US$6 million and closed swiftly at a hammer price of US$12.5 million, rising to US$14.165 million once the buyer's premium was incorporated. 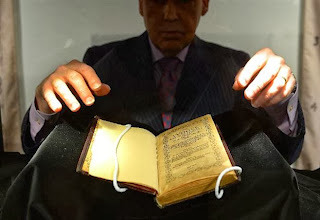 The book, with its browning pages and gilt edges, was displayed in a glass case behind the auctioneer to a relatively small crowd who attended the less than five-minute auction in person. Sotheby's named the buyer as David Rubenstein, the billionaire American financier and philanthropist. He was in Australia and his bid was conducted by telephone. Sotheby's had valued the book at US$15-30 million, but denied any disappointment in the sale price reached Tuesday. 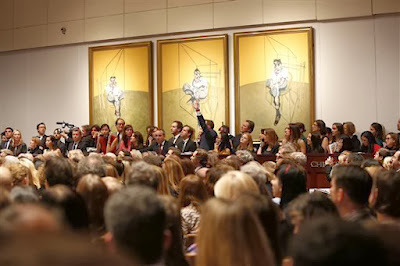 David Redden, auctioneer and head of Sotheby's books said US$14.165 million "represents a new world record for any printed book." The previous record was US$11.5 million, reached when a copy of John James Audubon's "Birds of America" sold at Sotheby's in December 2010. "We're very very pleased about this purchase. If you recall David Rubenstein also brought the Magna Carta from us back in 2007 for the same reason, to make sure Americans would understand the significance of their heritage," he added. "We greatly appreciate his interest in the sale," Redden said. The Magna Carta sold for US$21.3 million in New York. It was one of only 17 existing copies of the 800-year-old English royal manuscript setting out the rights of man. Redden said "The Bay Psalm Book" was a "great rarity" and that only two of 11 surviving copies had come to sale in the last 100 years. He described the price as "very strong and hefty". "It's very important because of its story. It's the first book printed in America and the first book written in America," Redden told reporters. Before the sale, Redden said the volume had even greater significance as a precursor to Lexington and Concord, and, ultimately, to American political independence. "With it, New England declared its independence from the Church of England," he said. There were 1,700 copies of the original 1640 edition. 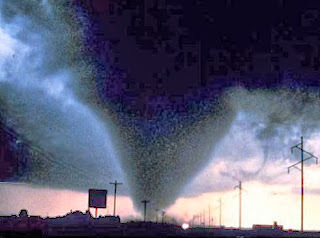 The eleven that have survived are in collections such as The Library of Congress in New York and Harvard College Library. 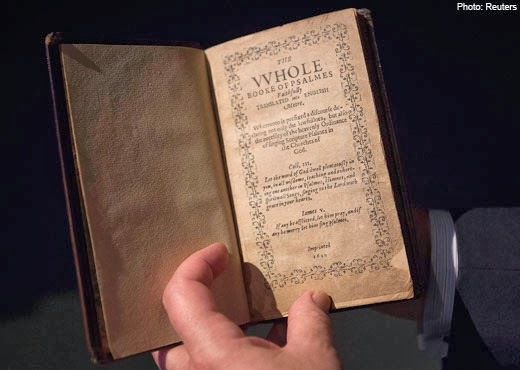 No copy had previously been auctioned since 1947, when a different copy fetched US$151,000 - a record at the time for any book, including the Gutenberg Bible or Shakespeare's First Folio. The book was sold by the Old South Church in Boston to benefit its work in the historic city. 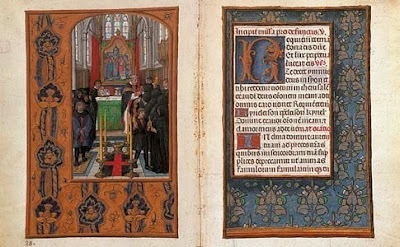 The same church possesses another copy of the "Bay Psalm Book." Selby Kiffer, from Sotheby's special projects department, called it "not simply one of the great icons of book history, it is one of the greatest artifacts of American history." 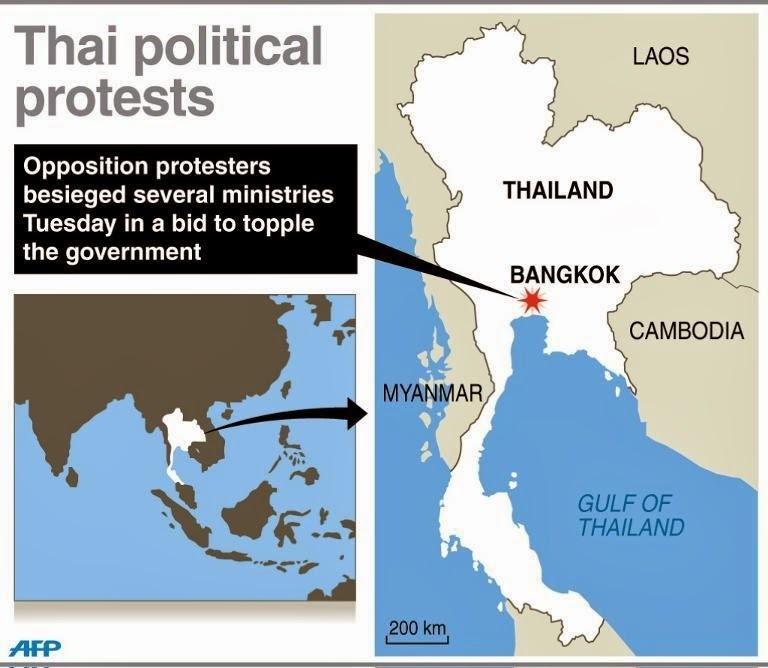 Thousands of protesters have surrounded Thailand's Interior Ministry and forced the evacuation of four others in an escalating campaign to topple Prime Minister Yingluck Shinawatra's government. The demonstrators continued their defiance on Tuesday of a tough security law imposed late on Monday, after they stormed other ministries, to control rallies against Yingluck and her billionaire brother, former premier Thaksin Shinawatra. 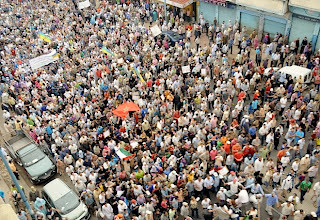 Demonstrators targeted the tourism, transport, foreign and agriculture ministries on Tuesday, one day after swarming the finance and foreign ministries in the biggest street protests since the country's 2010 military crackdown. Officials left these government buildings. 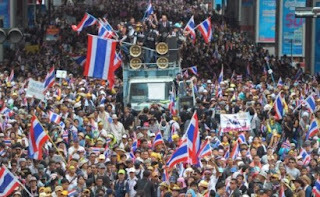 Thailand's prime minister appealed for an end to "mob rule" as she prepared for a pivotal no-confidence vote in parliament. 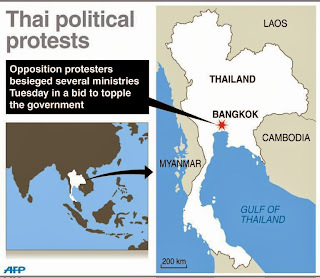 Protests have been fuelled by claims Yingluck's government is controlled by her brother Thaksin Shinawatra. 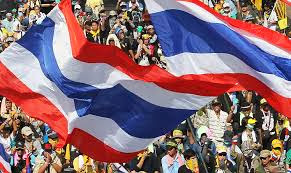 Thaksin Shinawatra was ousted in a military coup in 2006 for alleged corruption. FOOD WASTE, OVEREATING THREATEN GLOBAL SECURITY? 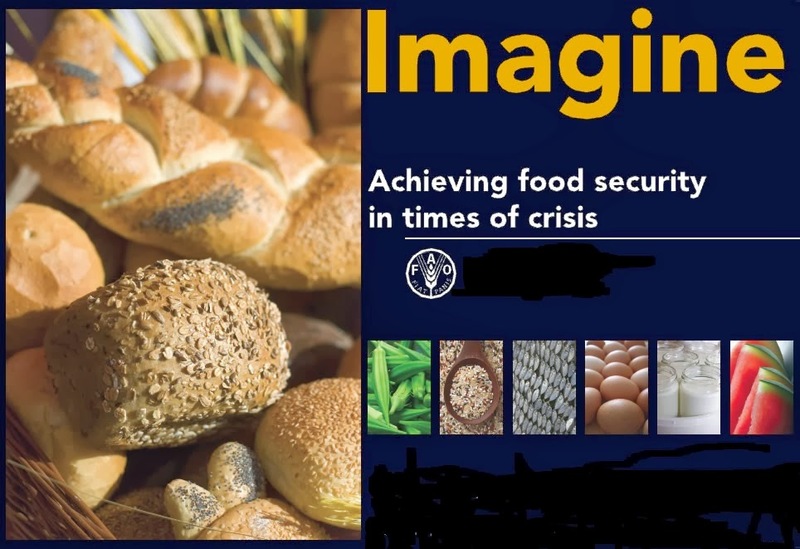 Food shortages have already caused massive social and political unrest, contributing to revolutions that toppled governments in Haiti and Madagascar in 2008 and 2009, after the global price spikes. 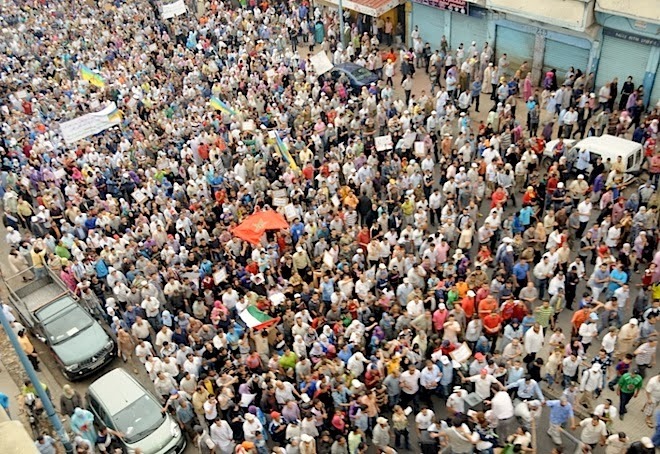 And the riots in Tunisia that triggered the Arab Spring were initially dismissed by the government as just another round of protests over the rising cost of bread, which had sporadically hit the country for decades. 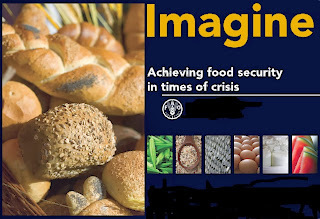 The World Food Programmer estimates that 870 million people worldwide do not have access to enough food to be healthy. And with the global population expected to increase 50 per cent, or three billion people, by 2050, Prof. Benton a professor of population ecology at the University of Leeds warns that it's only going to get worse. 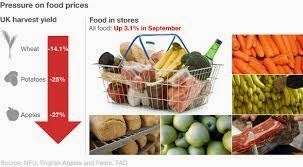 In 2011, 1.3 billion tonnes of food, or about one third of all the food produced globally, was lost or wasted annually, according to the Food and Agriculture Organization of the UN. In developed countries, the average person wastes about 100 kilograms of food every year. 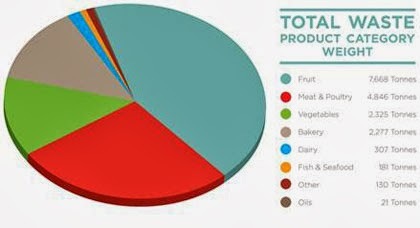 Some the food is lost during the production stage to pests, some is lost during harvesting, some is lost during processing, and some is lost in storage. But a considerable amount is lost in people’s homes, explains Tim Benton. Research shows that based on average weight gain through adulthood, people are consuming 20 to 30 per cent too many calories. So eating a healthier, more balanced diet would not only help tackle the obesity epidemic, it would also take as much as a third of the caloric demands out of the global food chain. 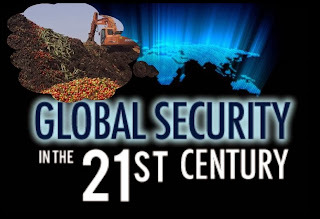 Everything that well-off people in the developed world eat or even worse, throw away food that isn't feeding the impoverished and hungry of the developing world. Pope Francis has equated food waste with "stealing from the table of the poor and the hungry." ISLAMABAD, - Pakistan on Friday boosted security across the country after Sunni Muslim groups called for protests against last week's sectarian violence in the garrison city of Rawalpindi that killed 11 people. 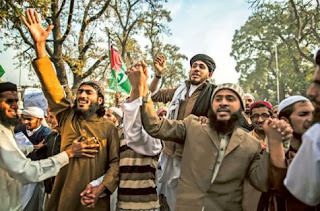 Clashes erupted in Rawalpindi, which neighbours the capital Islamabad, a week ago when a procession by Shi’ite Muslims to mark the most important day of the mourning month of Muharram coincided with a sermon at a nearby Sunni mosque. The groups attacked each other, TV cameramen and security forces, firing gunshots. 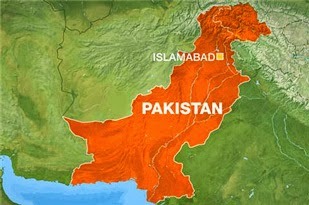 Schools, shops and restaurants were closed in the city on Friday while roads were deserted in both Rawalpindi and Islamabad. 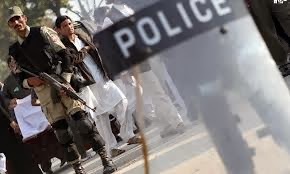 The government has deployed thousands of police and paramilitary troops in all major cities to maintain order, with the army on call in case of any violence, a police official in Islamabad told AFP. MANILA, Philippines - Almost two weeks after Typhoon Haiyan struck Visayas, government health experts are now on the lookout for cases of life-threatening waterborne diseases. 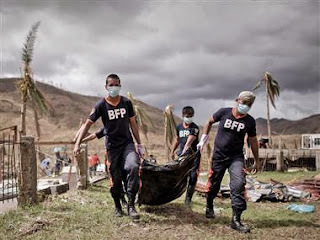 Dr Paula Sydiongco, the Department of Health’s assistant regional director for the Visayas, said authorities are now monitoring cases of diseases such as leptospirosis and tetanus in Tacloban City, Southern Leyte, Samar and Panay Island. 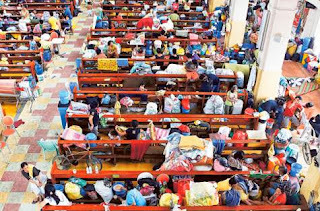 Sydiongco said at least two patients were confirmed to have died from tetanus while the health department is still trying to verify cases of leptospirosis. According to the World Health Organisation (WHO) leptospirosis is a disease is a bacterial disease that affects both humans and animals. 4 die from leptospirosis, tetanus in Eastern Visayas. Health authorities here are keeping a close watch over cases of leptospirosis and tetanus. 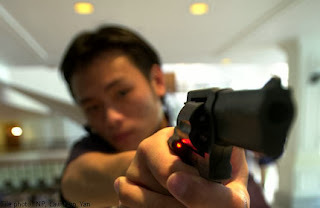 KUALA LUMPUR IS DANGEROUS PLACE TO LIVE IN? 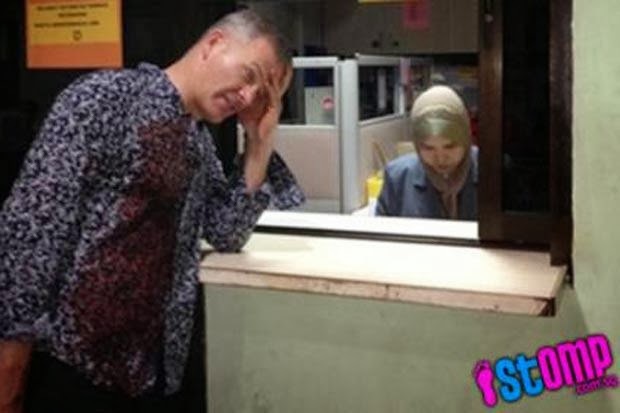 A backpacker by the name of Dave Ramsay from the United Kingdom has visited countries like Africa and Yemen, but picks Kuala Lumpur as the most dangerous place he has ever been to. Dave had related his experience about being stabbed and mugged in the city on travel site Virtual Tourist. The incident took place near Hard Rock Cafe in Jalan Sultan Ismail on Oct 5. According to Dave he was stabbed in the chest and then slashed across the arm with a knife, before the robber fled with his bag. Dave said there was no regard for his life since he was attacked before being robbed, instead of the other way round. 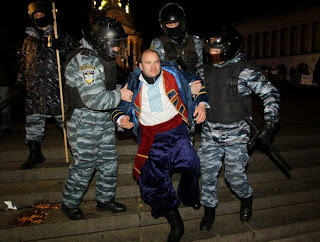 However, his ordeal did not end there. Not only did it take 30 minutes to reach a hospital as most taxis did not stop for him after seeing blood, police were also ineffective and inefficient. 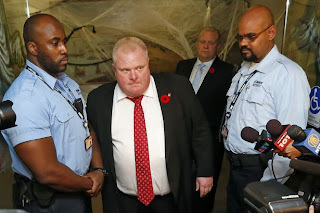 Dave said, security at local venues did nothing. 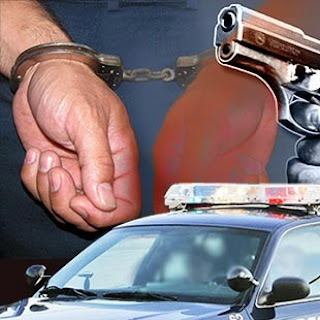 Tourist police also did not ask anything about the robber and only produced a report for an insurance claim, making the victim feel they had no interest in pursuing the criminal. Dave even called the tourist police office a "conveyor belt of victims coming in". "This place needs avoiding big time. I have travelled to Africa, Yemen, and SE Asia for nearly 30 years and I am not a squeamish person but I genuinely believe this to be the most dangerous place I have been to, due to the vast number of incidents and the frequency of them. It’s epidemic," wrote Dave. As a Malaysian and experiencing living half of my life in Kuala Lumpur, I don’t totally agree with Dave. I treated his case as isolated because I have many foreigner friends visiting or stay in Kuala Lumpur are not facing ordeal as much as Dave has. Basically Kuala Lumpur is a nice place to visit. 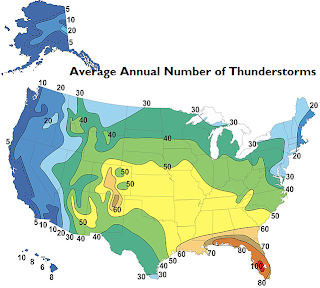 However, like any cities in the world, danger will always come and goes. Subjective to how we handle our situation living a big city like Kuala Lumpur. 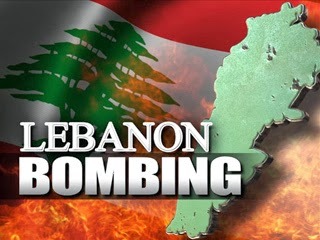 BEIRUT, Lebanon - At least 23 people have been killed and more than a hundred injured in a twin suicide bombing outside Iran's embassy in Beirut, an attack that was claimed by a group linked to al-Qaeda. 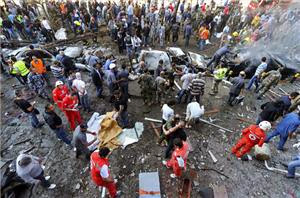 The first explosion targeted the embassy gates and was caused by a suicide attacker on a motorcycle. A much larger second blast, caused by a suicide attacker in a 4x4 vehicle, struck yards away minutes later as people rushed to the scene. The blasts ripped the facades from surrounding buildings, leaving the streets strewn with rubble and broken glass and stained with blood. Scandal-plagued Toronto mayor Rob Ford was stripped of the last of his meaningful powers after a heated city council debate in which he argued with members of the public, charged hecklers and knocked down a councillor. 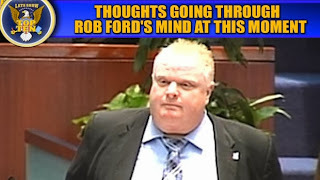 Mr Ford called the move a “coup d’état” and vowed an “outright war” in the next election. “What’s happening here today is not a democratic process, it’s a dictatorship process,” the 44-year-old mayor declared. The council voted overwhelmingly in favour of slashing Mr Ford’s office budget by 60 per cent and allowing his staff to move to the deputy mayor, who now takes on many of the mayor’s former powers. 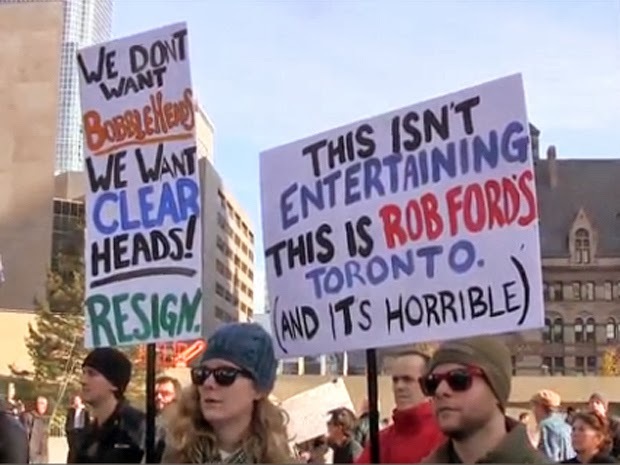 Mr Ford now effectively has no legislative power and no longer chairs the executive committee, although he retains his title and ability to represent Toronto at official functions. A fast-moving storm system triggered multiple tornadoes yesterday that killed at least six people and flattened large parts of a town in Illinois as it tore across the Midwest, authorities said. The storm also forced the Chicago Bears to halt their game against the Baltimore Ravens and the NFL fans at Soldier Field to seek shelter as menacing clouds rolled in. Chicago’s two major airports also briefly stopped traffic while the metropolitan area was under a tornado watch. A National Weather Service survey team confirmed preliminary EF-4 tornado damage in Washington County in southern Illinois, with winds of 267 to 322 km per hour. 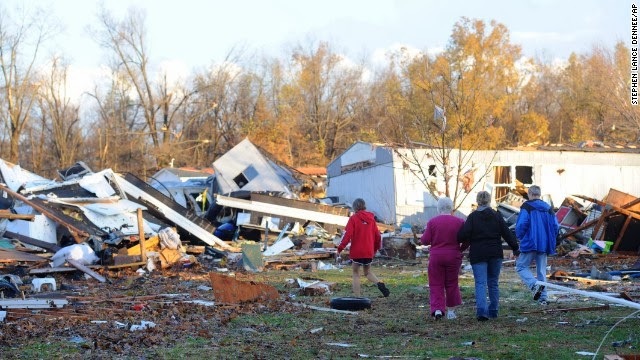 A small farmhouse there took a direct hit, according to the NWS survey team report. “The homestead was totally destroyed with only the foundation remaining,” the report said. A total of 80 tornado reports were received along with 358 reports of damaging winds and 40 reports of large hail. GOVERNMENT TO BUILD WATCH TOWER TO PROTECT ELEPHANTS? 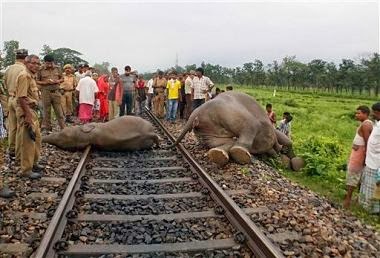 KOLKATA, India -The death of seven elephants including a calf has forced the state government to take preventive measures against elephant-train collisions. He added, the watch towers will monitor the movements of elephants and regulate the speed of the trains. In spite of repeated reminders the railways have not regulated the speed of its trains. If it still does not listen, we will have to stop movements of trains in the area during night time. On Wednesday, a speeding train, mowed down seven elephants and injured 10 others including a pregnant elephant inside Chapramari forests in North Bengal. 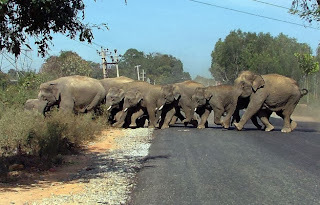 The forest department has already lodged a police complaint against the train driver claiming that the train was running at a speed higher inside the “elephant corridor” than the prescribed limit. However, the railways have claimed that the incident happened outside the prescribed area. In between, a Public Interest Litigation has been filed in the Supreme Court seeking direction to the Centre and certain states, including Karnataka, to take steps to prevent the incidents of elephant deaths on railways tracks. The petition filed by Shakti Prasad Nayak has contended that as trains accounted for 37 per cent of the elephant deaths. Immediate steps are required to stop the killing of elephants in the country. 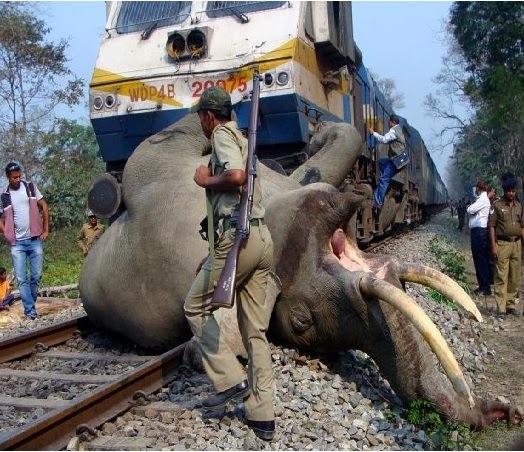 Elephant deaths due to an accident caused by trains could be prevented by the prior determination of the position of the elephants from a distance by the use of thermal infrared cameras that can be fitted to the engine. The elephant’s body emits Infrared radiation and that can be caught by the camera. This will help the train driver to take precautionary measures with enough time at his disposal for the image to be obtained at a point that is way behind the elephant’s position, the PIL said. The increasing number of deaths of elephants on railway tracks violates Article 48-A and 51-A (g) of the Constitution and provisions of the Wildlife Protection Act, 1972, the Indian Forest Act, the Indian Penal Code, the Forest Conservation Act and the Prevention of Cruelty to Animals Act, 1986, the petition said. ONE-TONNE SATELLITE FALLING TO EARTH WITH A BANG? MUTANTS KILLER RATS INVADED BRITISH PARLIAMENT? EVIDENCE OF MASSACRE UNCOVERED IN C.A.R. 92 MIGRANTS PERISH IN NIGER SAHARA DESERT? VIETNAM'S POPULATION REACHES 90 MILLION? INDIA BUILDS WORLD’S TALLEST STATUE?